San Diego woman injured parasailing in Mexico returns to the U.S.
SAN DIEGO (KGTV) -- Tuesday night a San Diego woman who was stranded in Mexico for weeks after a parasailing accident returned to the United States. Katie Malone landed at Brown Field just after 9 p.m., where her father waited anxiously. Katie Malone was injured on her 29th birthday when she decided to go parasailing, but something went wrong. Video shows a cord breaking, sending Malone hundreds of feet into the air for roughly 45 minutes. Malone then crash landed. She’s been at a hospital in Mexico since early June, unable to get a life flight back to the U.S., where she will undergo treatment. Former congressman Duncan Hunter Sr. contacted the Mexican embassy and put up the money to book an AirLink ambulance. 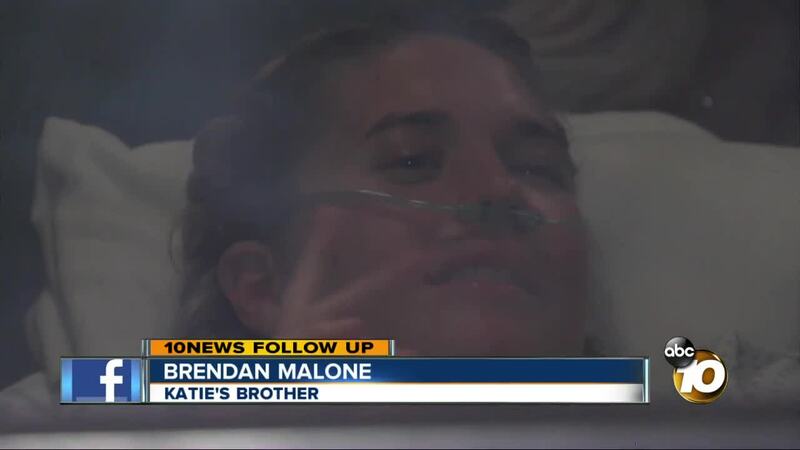 Hunter told 10News that hundreds of people donated to pay Malone’s hospital bill. 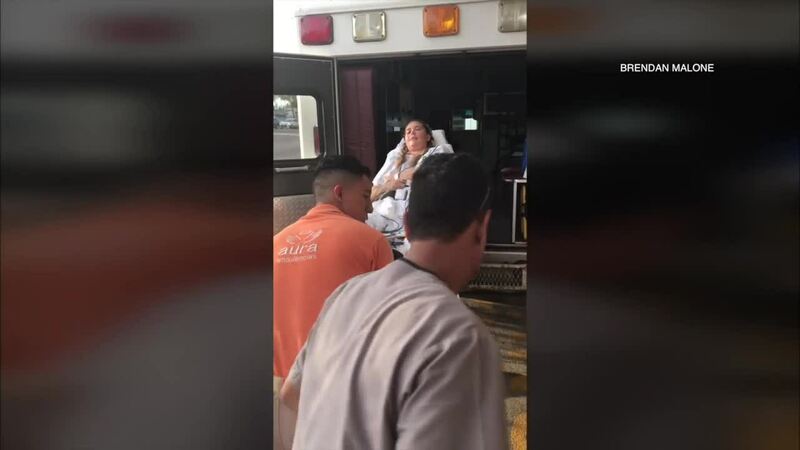 Video taken Tuesday by Malone's brother, Brendan, shows her getting loaded into an ambulance before her journey back to San Diego. Malone landed at Brown Field just after 9 p.m. Tuesday, where her father waited anxiously. Katie was all smiles as she was loaded into the ambulance, even giving a wave as they drove off.